You’ve worked really hard on your job search, and you finally found a challenging job that pays well. The interviews may be over, but you’re still going to be observed and evaluated once you start the job. How well you settle into your new job and form positive relationships will determine whether or not you’ll soon be back on the streets looking for another job. Your new employer will expect that knowledgeable, charming, poised, professional person from the interview to show up the first day on the job. Listen more and talk less. Your last job wasn’t the best. Even if it was your dream job, it’s over, so leave it behind. No one wants to hear, “…this is how we did things at ABC Company,” 15 times a day. You will come off as a know-it-all who thinks she has all the answers and isn’t interested in other people’s opinions.Your job is not to transform your new company into the last one. Be on time. Nothing shows a lack of respect for your co-workers than being late to work. Things happen, like heavy commuter traffic or a flat tire, but not twice a week. Showing up on time may be the most basic of all work habits, but things can’t start, decisions can’t be made, and the rest of the team will have to take on more work if you can’t manage to be on time. Be friendly but respectful. Just because you work together, you don’t have to be best friends. Let friendships develop naturally, but don’t expect to automatically be included in established groups or get a Facebook “friends” request from the entire team the first day. Respect everyone’s privacy and space, but be approachable. Everyone has their own priorities. Be teachable. This sort of goes with #1, but even though you are an Excel wizard, you don’t know the department’s spreadsheets or reporting schedule and process. Be an enthusiastic learner, regardless of the expertise and level of the trainer. The orientation program and employee handbook may be boring, but you need to know things like the dress code and the call-in procedure to be successful on the job. Accept feedback. No one likes to find out they don’t get it, but accept the fact that you’re going to make mistakes or miss something in training. Listen, ask questions and work on improving your performance. If you’re stumped, ask for help. It’s better to admit you need help than to remain silent and pretend that you have it all together. Sooner or later the truth comes out, and you may find the boss considers not asking for help the bigger mistake. 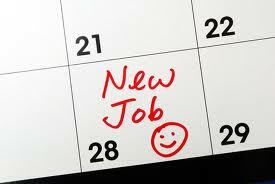 What have you done to make a smooth transition to a new job? Share your experiences below in the comments section. 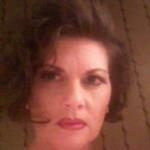 Mary Nestor-Harper, SPHR, is a consultant, blogger, motivational speaker and freelance writer for communicationsjobs.net. Based in Savannah, Ga., her work has appeared in Training magazine, Training & Development magazine, Supervision, BiS Magazine and The Savannah Morning News. When she’s not writing, she enjoys singing with the Savannah Philharmonic Chorus and helping clients reinvent their careers for today’s job market. 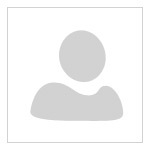 You can read more of her blogs at communicationsjobsblog.com and view additional job postings on Nexxt. I have been on time, I am trying to learn their way, but everyone has their own way, which kind of bothers me, but I ask my boss and she doesn't have the answer, who do I go to next. Everyone seems to want to do it their way, not the right way. Its a little disheartening. I need to be taught right, to excel at my job. What all do i have to do. I will love to hear more about this job. I am ready and willing. The determination on whether or not I am able is ultimately yours! That's the kind of job I'm looking forward to. I come to work on time and don't miss no days I even work when I'm sick because I love money. Also my kids that's how I take care of them .